Bring copies of your résumé — lots of them. You may go in thinking you are only going to talk to a couple of employees, but before you know it, you may be talking with a few more employers and recruiters who catch your eye. You want to make sure you do not run out of copies before talking to the employers you had intended to target, so a safe bet is to bring about 15 copies. Before heading to the career fair, try and get an idea of potential employers that will be there. You can head over to Handshake to get a list of career fairs that the Boerigter Center is advertising and see a list of companies there. Know the people you would potentially like to talk to, and take the time to check out their websites and have some talking points. Knowing details about the company shows initiative and can help you standout. Dressing business professional is always a safe bet. Keep your color palette neutral. When it comes to dressing the part, you’re always better to be slightly overdressed than under dressed. Need ideas? Check out our Pinterest page! After you have a conversation, be bold and ask for a business card or a way to be in contact with the employer. Some employers will use LinkedIn and will want you to reach out via that platform whereas others may be more apt to a traditional business card. Either way, you should try and have a LinkedIn profile setup and you will want to reach out to the employer to follow-up shortly after the career fair. Send an email or a message thanking them for their time and expressing further interest in being in contact. Do not just walk up to an employer’s booth and take all of the brochures and pamphlets. Instead, have a conversation with the recruiter and then follow-up by asking them what materials would be most suitable for you to take. This will help show the employer that you care about knowing more and that you are proactively observing what is around you. Additionally, taking small notes as the employer talks is not a bad idea. This shows you want to remember the conversation and makes your follow-up more personal. Ultimately, show your best side and be confident. Confidence is key when it comes to the job search process. The more you know, the more confident you will feel, and do not forget to be courteous, respectful, and engaged. Even if the employer you are talking to is not your first pick, be sure to be present and show your best side. You may be surprised how much you will like a company if you give the recruiter time to give their pitch. Career fair season is in full-swing, and there is nothing more important at a fair than to standout amongst the crowd and win employers over. One of the central aspects to presenting yourself at a career event is having a quick elevator speech to present to employers. 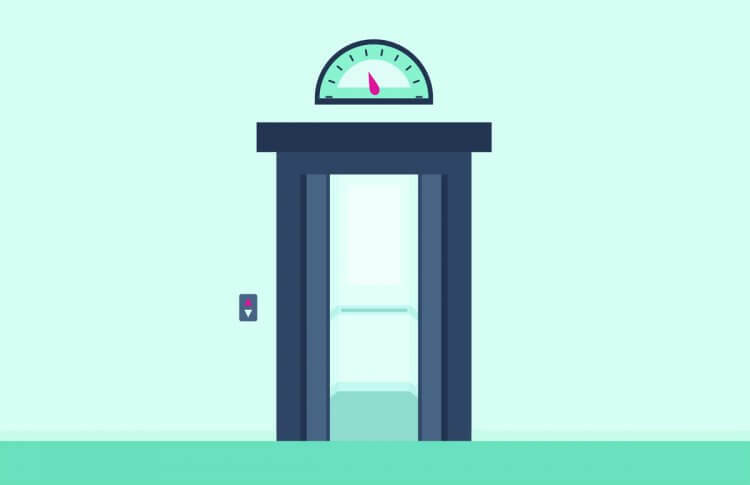 An elevator speech is a brief introduction that you give about yourself that seeks to highlight your best qualities and show a recruiter or employer why you would be a good candidate. It sounds simple, but writing out what you want to say on a small index card helps to condense your pitch to the basics. Since you only have about a minute to give the run-down on who you are, it’s important to use specific and targeted language. By having to fit everything on a note card, you will better be able to focus on what really matters. Start with your name. It might be obvious, but don’t forget about introducing yourself, what you’re studying, and where you go to school. Once you’ve covered the simple basics, grab the attention of your audience. Don’t just give a rundown of all of the things that you’ve done, but make yourself an attractive candidate by exemplifying your qualities and expressing how you specifically fit the job or place of employment. Especially in the case of career fairs, know who you want to talk to and why. If you know a company or the recruiters you can cater your speech to that specific employer. This shows initiative and a desire to work for their company. It also helps you to better exemplify your qualities and experience because it is catered toward the job. You might feel silly looking in the mirror or asking your friend to practice, but doing this step can help you feel more comfortable and confident. Additionally, looking in the mirror and seeing yourself talk can show you how you may talk too fast or say “umm” a little too much. Elevator speeches always feel uncomfortable. Sometimes it can be weird to talk about yourself, but know that this is normal. Practice so that you can be confident when it’s game time. It is not a bad idea to pose a question at the end of your pitch and be prepared for any follow-up questions. Ask the employer about a project you saw in the works on their website, ask about work environment, or think of something you want to know about the company. Be creative and be direct. Know how to answer questions an employer may pose in reference to your pitch. Ultimately, it’s important to feel good about what you say. Be intentional about taking the time to craft a pitch and know what you want to showcase about yourself. Dress the part and carry confidence as you present your unique qualities and goals. 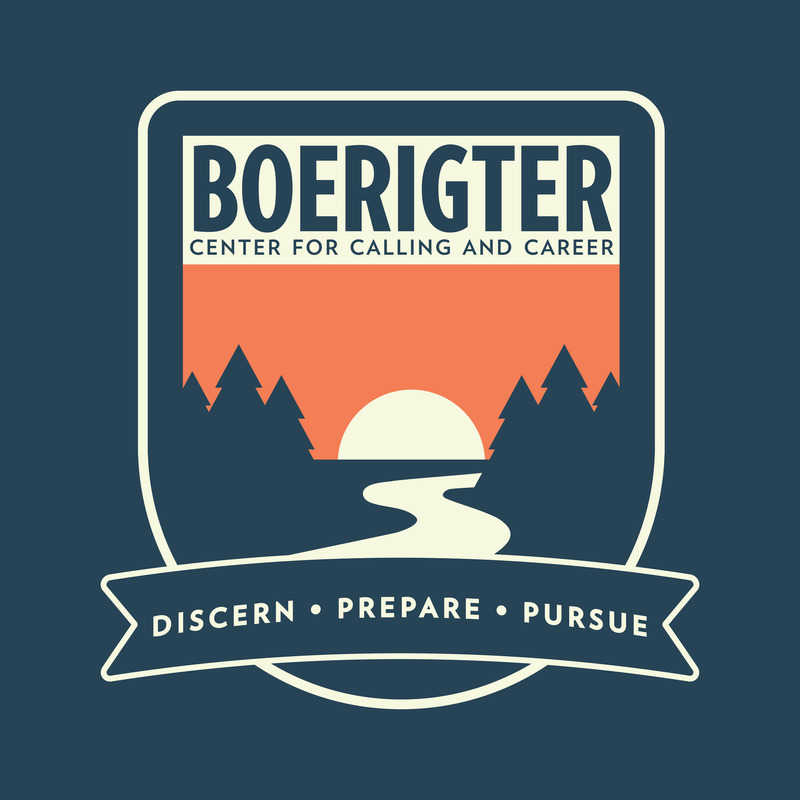 Centered in connecting, Boerigter strives to meet with every student across campus. In this mindset, we are now offering group sessions. This opportunity will allow you to meet in a setting of around 5-10 students to engage in learning and asking questions in a variety of topics. Whether you are in your first year as a Hope student or have a few years under your belt, there are sessions that can likely cater to some of those common questions about resumes, interviewing, and more. Calling all freshman discerning majors and careers — in an exploratory advising session we will assist you in the process of figuring out what to study and how to explore your areas of interest. If you are thinking of off-campus study or have no clue how to narrow in on a potential major, this session can help you get started with what it means to find and pursue your passions and interests in life. Thinking about applying for an internship? Whether you are thinking of summer options or future semesters, it’s important to feel confident about the basics of internship, how to find work specific to your goals, and how an internship can prepare and launch you into your future career. This session is a great start to get you putting your best foot forward and to set you apart from others. Along with seeking employment comes interviewing, which can be a daunting notion to both those with little and those with plenty of experience in the world of interviews. However, with more knowledge and techniques of how to interview well, you can feel more confident in utilizing your personality and skills in order to feel calm, cool, and collected in your next interview. This session will provide you with an understanding of what it means to display who you are, demonstrate what makes you an excellent candidate, and answer the tough questions with ease. If you are seeking summer employment or looking into future careers, it’s helpful to get your name and face out there for employers to see. This group session will allow you to understand the general process of networking and provide access to alumni in your areas of interest. Additionally, the session will equip you with the tools to use LinkedIn successfully and help you to understand the process of informational interviewing in order to stand out in the networking process. Thinking about graduate school? This workshop will help you get started on one of the first things on the checklist to applications. Personal statements are a way that a graduate school can get to know you, and this session will provide you with an understanding of how to best compose this statement. What to showcase and how to present yourself to a school can be explored within this group process. One of the most basic steps to securing a job is having a solid resume and cover letter. From never making a resume before and having no idea where to start, to trying to hone-in on what can make your cover letter stand out, this group will help point you in the right direction. Resume and cover letter sessions will involve how to properly format each and what information to include. Plus, you will be able to better grasp how to gear your resume and cover letter to the specifc job you’re seeking. Group sessions will be starting this September. For more information or to schedule yourself into one of these hour-long sessions, please call us at 616.395.7000, or stop by our new location on the first floor of Dewitt. Many students meet with us and report they have no idea where they should even start when it comes to networking and the job search. As a parent of three college graduates, I sincerely wanted the best for each of my children as they attended college. I hoped that they would figure out what they would major in, that they would have quality advisor relationships, and that they would have a plan for what they would want to pursue following graduation. Frankly the college years at times, were stressful, even though I had been working in a college setting. Questions about major, questions about what to do with the major, hoping that as each of my children entered their last year and last semester, that they would take the initiative and seek out viable options following graduation. There came a point in each instance with all three, that I had to trust that as adults, it was their responsibility to do, or to not do it. And sometimes part of becoming an adult is learning hard lessons, which too many times, we want to protect our children from. Through my own experience, I saw the value in frequently serving as a sounding board to each of my “collegiate children”, empathizing with their struggles, providing encouragement and support whenever possible. As my oldest considered post graduate options, I listened to her choices and pointed out pros and cons of each, with her deciding on taking a gap year before heading to the University of Michigan for graduate school. My son reconsidered pre-med after his sophomore year when he took organic chemistry. I expressed to him that the core outcome of his liberal arts education should be to think, write and communicate critically (i.e., effectively) and he decided to study History and now works as an entrepreneur. Whenever he is back in West Michigan, he reconnects with his former History advisor. As my youngest planned for study abroad during a May term, I suggested that it would be wise to gain an internship for the summer; she also thought it made sense, and through a personal friend, was able to provide an introduction that resulted in an interview and summer intern role. One important part of the job search that will be crucial for your student is networking! Here are four helpful tools and tips from Megan Scheldt, Career Counselor-Networking, to share with your student to help them combat the anxiousness surrounding networking. The Career Development Center offers appointments specifically tailored to students seeking to network. During these meetings students are able to tap into the Career Resources Network. This database is a comprehensive list of alumni willing to connect with students for informational interviews! Just as we review resumes, The Career Development Center is here to help students build a professional online presence. We also navigate students through the LinkedIn database of Hope College graduates. No matter how a student finds a contact it is important that they conduct several informational interviews. It gives them the opportunity to hear firsthand from a working professional and be given advice to confidently move forward in the pursuit of their career. Many of our students have reported back that their contacts have helped them tweak their resume, passed along this document, as well as provided helpful tips for interviewing with their company. In addition to this, students can potentially expect to learn about jobs that are not yet posted on a company’s website. As cliche as it may be, “thank you” goes along way. It is important to encourage your student to write anyone who supports them with their job search a thank you note or email. Being able to clearly express what they learned as well as their gratitude can help them make a great impression! In addition to a thank you note, following up with contacts days, weeks, or months later is very crucial. At that time they might be hiring or be able to provide an additional introduction to another professional of value. The process of searching for a job can be a stressful time for students, but there are some things that parents can do to help. However, there is a fine line between helping and nagging, and the trick is learning to navigate what your student wants from you and what they don’t want. With all the help you give your student, there are still some pitfalls that parents should avoid stumbling into. A student does not want to be told what job they should do by their parent. A parent might just be trying to give a friendly suggestion when they confidently say, “You should do this job,” but a student is going to interpret that as an order. Using an “I” statement instead of a “you” statement can make sure that your student understands your suggestion is genuine. For example: “I think that you would excel in this career.” Paying attention to make sure that comments don’t come across as controlling can go a long way. Not being controlling is key with your student. They are already worried about applying for jobs and preparing for interviews and having their parent checking up on them too frequently can aggravate them. You might want to be kept up to date on what’s happening in your student’s job search, but they might feel like you are watching to make sure they don’t mess up. As hard as it may be to be more hands off with your student, it will help reduce any friction. Following these guidelines should help you help your student, but remember, you can never go wrong with simply asking your student what they would like from you during this big change. “Please remember to dress business professional for this event…” Who knew so few words could cause such anxiety? Business professional can be tricky, but we’ve got you covered. Here are five easy do’s and don’ts to follow next time you need to look sharp and at the top of your game. Bonus Pro Tip: run a lint brush over your outfit to make sure you have all dust and hair off your suit. Whether you’re trying to dress for an interview, dinner reception, or networking event, it is important to put your best foot forward. If you don’t have all the essentials in your closet, try borrowing from a dorm/house mate or friend. Hopefully following these tips will help you know what to wear next time you need to dress up and will allow you to feel confident as you work towards finding your place in the real world. Have a fun story about yourself that relates to why you chose the company or position you are applying for. 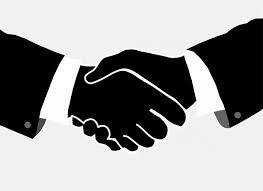 The whole point of an interview is for you to get to know a company and for them to get to know you. Stay professional, but let your personality shine through. Have two strengths you are comfortable speaking about (same goes for weaknesses!). A strengths and weaknesses question is bound to come up in an interview. Be prepared to talk about yourself in a positive way and relate your examples to the position you’re applying for. Not only will this help you relax for the interview, but it’s a great life skill to have no matter what field you’re going into. Have engaging questions to ask the interviewer at the end of the interview. Most interviewers will leave time at the end of an interview for questions, and nothing is worse than awkward silence at this point. This is your time to ask for candid information about a company and get to know you’re the culture of your potential employer. Come prepared with 3-5 questions, ones you can’t find the answer to on the company website. Click here for some question tips. Be up to date on current issues and be ready to talk about them. This might sound a little strange, but you never know what you’ll be asked in an interview. Especially if you are going into an industry like finance or public policy, make sure you are reading the news frequently and can articulate how market trends may affect your future employer. Personally, I like the Wall Street Journal and the New York Times. Not only will this help for an interview, but it can help to improve your global awareness. Be able to talk about what you’re learning about in school and how it relates to the position you’re applying for. We’re in college for a reason, but I know sometimes it feels like what we are reading can’t possibly apply to the real world. But you’d be surprised that yes, even Cultural Heritage has connections in the workforce! Interviewing can seem intimidating. You know you’re being scrutinized and that they’ll be talking about your performance afterwards. With these tips, you’ll walk out of your next interview feeling confident in your abilities, knowing you expressed yourself best! Interview Attire: Dress to Impress! Interview coming up? Scouring the internet searching for help? For an accounting interview (as well as healthcare interviews) you’re “selling your credibility,” so you want to project an image of professionalism and dependability. Our Career Advisor and experienced CPA Morgan recommends a suit for both men and women. Women should make sure their skirts fall at or below the knee. Conservative and neutral colors are the safest bet, and avoid anything that could be considered trendy or flashy. In education interviews (as well as most corporate settings, law offices, and engineering firms), a suit is still the clear choice for men. Depending on the specific job, colored or conservatively patterned ties can be acceptable, as can dress pants and a sport coat or sweater. For women, a suit is still a good choice, but a conservative dress or a pencil skirt with non-matching blazer are viable alternatives. Just like in accounting and healthcare, sticking to conservative colors and avoiding trendy pieces will help establish credibility and won’t distract potential employers from your skills. White House Black Market, Chico’s, Men’s Warehouse, and Joseph A. Bank are great places for both women’s and men’s interview apparel, so be sure to check out these local stores for some great options! Overall, remember to research the field you are pursuing. If you’re uncertain about what to wear, ask a contact in Human Resources, or call us at the Career Development Center and we’d be happy to help you (616-395-7950). Make sure your outfits fits well, and get your clothing tailored as needed. Professionalism is key; just be sure to do your research and know about specific expectations in your industry. Now go forth and get hired! Special thanks to our experts: Morgan (CPA), Nancy (Education), and Ross (Advertising). Posted on March 8, 2016 Author Boerigter CenterCategories Interviewing, SampleTags Business Casual, Career Advisors, Career Development, Career Development Center, Employers, Hope College, Interview Attire, Interviews, Job Search, TipsLeave a comment on Interview Attire: Dress to Impress! Jobs, Resumes, and Interviews, Oh My! Having trouble finding jobs, internships, and volunteer opportunities that pertain to your area of interest? Looking for resume assistance or interview help? Jobstop is an excellent resource for exploring multiple careers, learning about different organizations, and improving your resume and interview skills. Jobstop is an online tool open to students and alumni that can help connect users with different organizations and career opportunities. After creating an account, you can click on the “Job Search” tab to explore hundreds of opportunities that could help you develop your career exploration process. To tailor your search, click the “Advanced Search” button, located to the right of the green “Search” button, and fill in some of the categories to specify your search. Be sure to clear out the “Post Date” box to optimize your search results. Add any positions that interest you to your Favorites, where you can access them with ease as you continue to select and search for jobs. You can also upload your resume to Jobstop for online resume reviews, conducted by our CDC staff members and Career Advisors. We will offer helpful suggestions for how to improve your resume, and then eventually upload it to Jobstop so employers can easily view your experiences and qualifications. It’s a great asset that can help you reach the next step of the job search process! Jobstop also has an awesome feature called Interview Stream, through which you can practice your interviewing skills through a video interview. The Interview Stream link, located on the lower left side of the page, provides typical interview questions and records you as you answer them. When you finish, you can review your answers by watching yourself on the recording. It’s like a mock interview in the comfort of your own room! Jobstop is a super helpful website with so much to offer students during your time here at Hope. If you have any questions about Jobstop, please feel free to call us at 616-395-7950 or stop by our office, located in the first floor of Anderson- Werkman. Get started with Jobstop today! Posted on February 18, 2016 Author Boerigter CenterCategories About Us, General, Interviewing, Resume, SampleTags Career Advisors, Career Development, Career Development Center, Employers, Hope College, Interviews, Job Search, JobstopLeave a comment on Jobs, Resumes, and Interviews, Oh My! If you’re like most college students, your Christmas break was likely filled with family and friends who lovingly asked questions like “So, what are you studying? What can you do with that major? What are you going to do after college?” targeting some undetermined and sometimes frightening topics. They can cause you to stand there, stammering to find an answer, and anxiously looking for a quick way to change the subject. Luckily, those questions don’t have to be scary, and you can easily provide answers for all of them! Come to the Career Development Center (CDC). No matter where you find yourself in your career exploration process, we are here to help you. Looking for a fun summer job? The CDC is hosting a Summer Camp Fair on January 20th, from 11:00am-2:00pm in Maas Auditorium. This is a great opportunity to network with numerous camps, located anywhere from right here in Holland, to Warwick, New York. The CDC has also created an event discussing important steps during the transition between Hope and “The Real World” called From Hope to Hired. Kevin Deane from the Image Group will offer tips on finding a job, CDC Career Counselor Megan Fisher will discuss how to effectively network with people in your field, and CDC Director Dale Austin will highlight how to prepare for interviews. The event will be held from 7:00pm-8:30pm in the Martha Miller Rotunda. No pre-registration or outside preparation is required. See you there! Lastly, don’t forget to stop by and see us at our office, located on the first floor of the Anderson-Werkman building! Set up an appointment with our front desk, or call us at 616-395-7950. We also hold Drop-In Hours from 3:00pm-4:30pm every weekday for ten minute appointments and reviews. We look forward to working with you this semester! Posted on January 14, 2016 January 21, 2016 Author Boerigter CenterCategories About Us, General, Interviewing, Networking, Resume, SampleTags Career Development, Career Development Center, Drop-In Hours, Holland, Hope College, Interviews, Job Search, Networking, Office Location, Staff Members, Summer, TipsLeave a comment on New Year, New Career! Dale Austin conducting a mock interview. Put in work ahead of time and understand the process. Know and understand the organization and role. Do your research and know the job description inside and out. Schedule a mock interview with a staff member at the Career Development Center. When an employer realizes you’re confident in yourself and your abilities, seeing that you know you would be a great fit, he or she will make that connection. Know yourself and be authentic. Reflect on your background, values, and experiences to build a connection between you and the company. Understand how your experiences have shaped you. Be able to give concrete examples of how they apply to the role or organization. Context, action steps, and results. Offer the context and background surrounding your experience, the steps involved, and the overall outcome. Once you take the time to go through these three pillars and fully understand them, you will be in great shape to wow whatever organization with which you are interviewing! Lastly, don’t forget to send either a thank you note or email to follow up with an interview. If you’re looking to schedule a mock interview or want to learn more about interview prep, please call our office and schedule an appointment at (616) 395-7950, or stop in for a drop-in appointment between 3:00pm-4:30pm any weekday. We can’t wait to work with you!